Asdrúbal Cabrera gave the Mets their first hit of the game today with a ground-rule double to shallow left field, which allowed Jay Bruce the chance to bring him home. However, as soon as Bruce stepped to the plate, he was called out, stranding Cabrera and ending the inning. 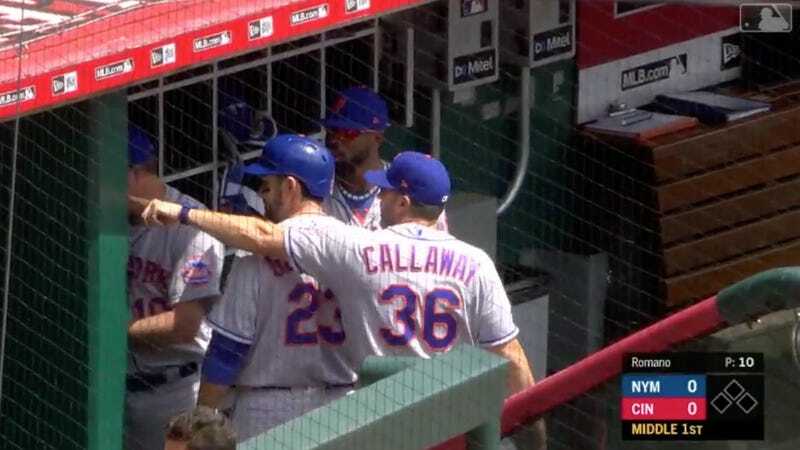 It seems Mets manager Mickey Callaway submitted an incorrect lineup card that had Cabrera hitting second and Wilmer Flores hitting third, which meant that the team batted out of order. The official ruling initially upheld Cabrera’s hit, though it seems that’s now changed. Amid all the confusion, let’s not miss the important part here: The Mets burnt a runner in scoring position because they couldn’t count to three in order.